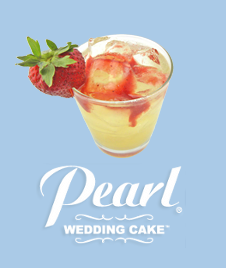 At last year's Association of Bridal Consultants' conference, I was introduced to Pearl Wedding Cake Vodka. What a great addition to a signature drink! They have lots of great recipes on their website, but here are two they featured at the conference. Chill champagne glass. Pour ingredients as listed. Garnish with a fresh strawberry and serve. Pour Pearl in chilled martini glass. Add pineapple juice. Garnish with pineapple wedge. Do you have signature drink recipe you'd like to share? Post it in the comments below!